This is a perfect movie to watch especially with Valentines Day right around the corner. It is a story of a wealthy family whose chauffeur has a daughter, Sabrina, who is madly in love with the family’s younger son, David. The only problem with this situation is he has no idea because she has never said anything about this passion. She later gets an opportunity abroad as a photographer’s assistant, where she grows up and still keeps her hopes of someday being with David. 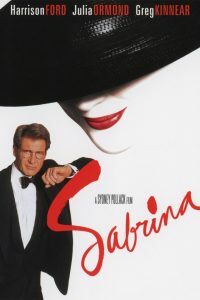 This movie is also a remake of the movie Sabrina starring Humphrey Bogart and Audrey Hepburn, which I must confess I have never watched but plan on watching in the very near future. I hope you all enjoy this movie and please let me know what you thought of the movie. Until next time. This movie has it all. 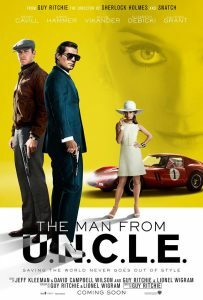 It is part spy movie, part buddy film and yes, even a romantic comedy, so it is easy for any movie goer to enjoy. This movie stars Henry Cavill as a CIA agent and Armie Hammer as a KGB agent both trying to retrieve a nuclear bomb. The buddy cop portion of this movie was done quite well, both agents have different ways of getting the job done and are continually butting heads. This movie is a great watch for just about anyone so get some popcorn and enjoy the show!